The Electrically Driven VTU, like other vertical transfer units, transfers pallets from one level to another within an automation system. The Electrically Driven VTU is different because it benefits from a vertical servo-driven actuator for positioning. The elevator platform conveyor can also operate in either direction, enabling the VTU to accept and discharge pallets from both sides, and the servo allows multiple stopping positions along the z-axis stroke. This highly configurable elevator impacts automation processes immediately. Here’s how. Typically, our competitors use a pneumatic cylinder for vertical motion, and therefore don’t have the flexibility to do multiple drop off points. They’re tied to a two-station scenario. Our Electrically Driven VTU can stop at as many pick up and drop-off points as are needed in your client’s process. Most clients opt for the electrical servo-driven actuator, but an electric 48v DC step-servo motor is also available for lightweight product. It has the same customizable vertical stop options. The Electrically Driven VTU is completely configurable using our in-context configurator, IMPACT!. This software is Excel-based and very easy to use. It also works with SOLIDWORKS. Learn more about IMPACT! and how it makes configuring your conveyors and devices so simple. Since Glide-Line’s Electrically Driven VTU uses a step-servo-driven actuator, it can stop smoothly anywhere along the vertical lift and as many times as your client needs. Competitors don’t offer anything with this ability. The step-servo drive gives your client the ability to pick up and accurately drop off pallets at multiple locations; it’s all timing-belt driven. The repeatable accuracy is thanks to the servo-driven motor. A pneumatic cylinder simply doesn’t have the same repeatability and accuracy a servo motor has. You can have two platforms working independently within the same elevator footprint. Multiple carriers in the same framework can add efficiency to the process. This device can be used as a vertical bypass; the pallets can move out of the way so product can continue to move underneath. Your client doesn’t need to build bypass systems in their process; instead, they can use this VTU. 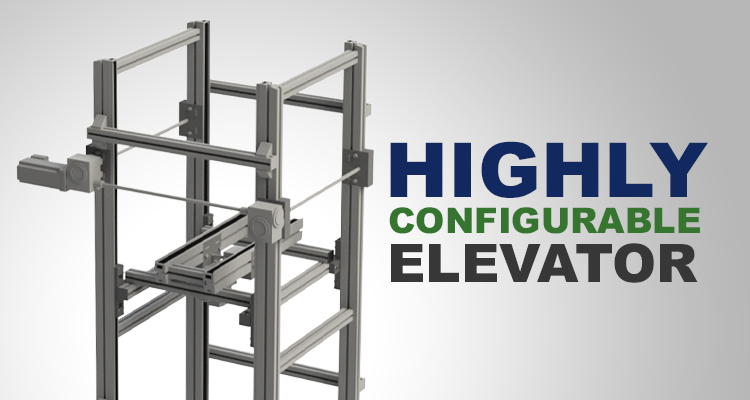 This highly configurable elevator works to smoothly, accurately, and repeatedly deliver results in your client’s automation process. With its ultra-smooth motion that’s entirely programmable, your client gains efficiency with this cost-effective innovative VTU.